Hedy Lamarr, illustrated by Lars Wallin. From the book Rita mönster. Do you have projects that you have been mulling over for years, but never got around doing? I realized this morning that I have one, one that I had nearly forgotten about. I was looking for some ideas on how to draft a buttoned fly and decided to check out the first pattern making book that I ever bought. And there it was, my old dream project, on page 87. 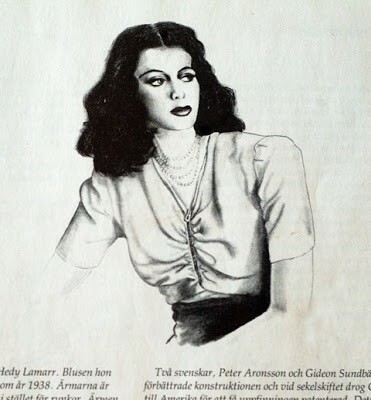 A sketch of the actress Hedy Lamarr wearing a zipped blouse with a gathered front, with the drafting instructions for the blouse on the opposite page. For a moment I was transformed to my 17 year old self. The one that was very prone to escapism and wanted every day to have a certain magical feeling to it. Preferable in a beautiful non-modern setting . A desire similar, I suspect, to that of the posse of young : female : vintage : bloggers that have popped up recently (the latter is a local girl and shop owner whom I have interviewed and photographed for my day job). I also remembered my long search for that perfect seafoam green rayon crepe to use for the blouse. Every time I entered a fabric store I would scan the selection and fondle the surfaces. But I always ended up empty handed, the perfect fabric never materialized. 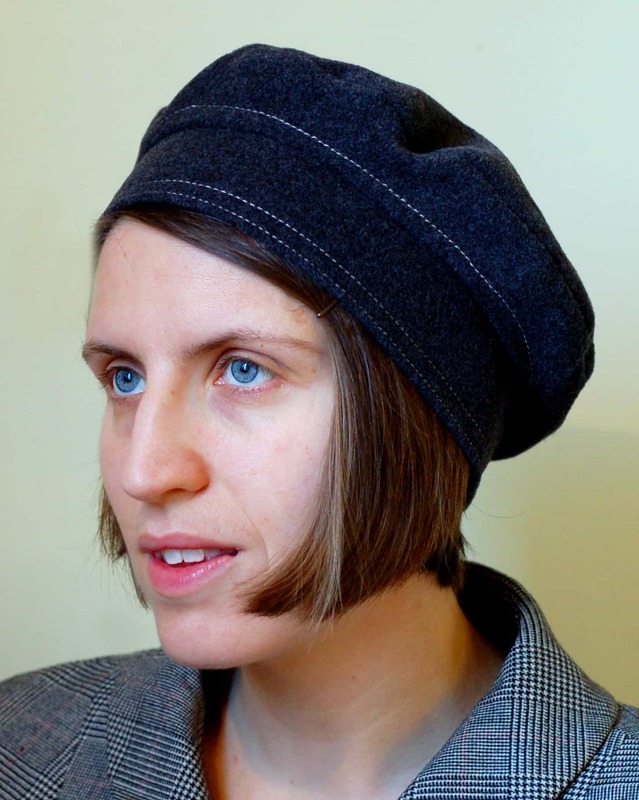 Perhaps I was also was a little bit intimidated by the project, as I was very new to pattern drafting at the time. But now I don’t feel so intimidated anymore and the style is still appealing to me. Also access to great fabrics has vastly improved since the 80’s. Writing this I became curious to see if I could find the original photograph. And I did, in the Google/Life archive. 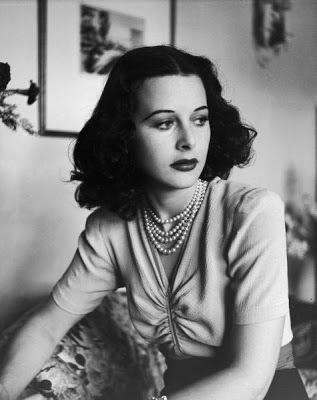 Hedy Lamarr in 1938 by Alfred Eisenstaedt. Beautiful blouse. Can't wait–that is a definite sign. Those vintage styles come back again and again, and we never tire of them. They are timeless. What a great story. You have to make this blouse now. It is a very pretty style and one that would look great on you. She is just beautiful. Classic photo, classic blouse. It's a sign! I just saw a similiar pattern in the Margolis patternmaking book–if you need more details let me know. The blouse is beautiful! The photograph is just great, I can totally see why you wanted this back then. Better even: you still like the style now, years later! What other signs saying "make it up" do you need?